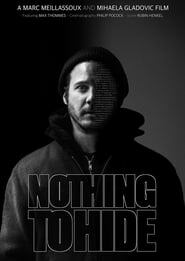 NOTHING TO HIDE is an independent documentary dealing with surveillance and its acceptance by the general public through the “I have nothing to hide” argument. The documentary was produced and directed by a pair of Berlin-based journalists, Mihaela Gladovic and Marc Meillassoux. It was crowdfunded by over 400 backers. NOTHING TO HIDE questions the growing, puzzling and passive public acceptance of massive corporate and governmental incursions into individual and group privacy and rights. After the emotion initially triggered by the Snowden revelations, it seems that the general public has finally accepted to live in a monitored digital world.